So we have got a Walt, and if I’m honest I am less than impressed – he comes in here all cute and cuddly and the family all over him and don’t seem to notice he keeps trying to sleep on MY bed! Had only I known that worse was to come I would have enjoyed those final few days just me and dad. DAD BROUGHT WALT TO WORK!!!! I thought there must have been some mistake when as we headed out the door he called Walt to come with us…. and when he lifted us in the car I still gave him the benefit of the doubt and thought maybe finally my prayers have been answered……I had everything crossed and then we pulled up at work. I trotted in with my normal spring in my step to meet my staff and then I realised that the whole office were looking at him, you should have heard them all “aint he cute” “bless he’s so small” “awww” and of course he lapped it up, playing up to the spot light. I tell you it’s as if they have forgotten I am their star! Although did you notice me ensuring I got my moment in the spotlight too – I will not be replaced. 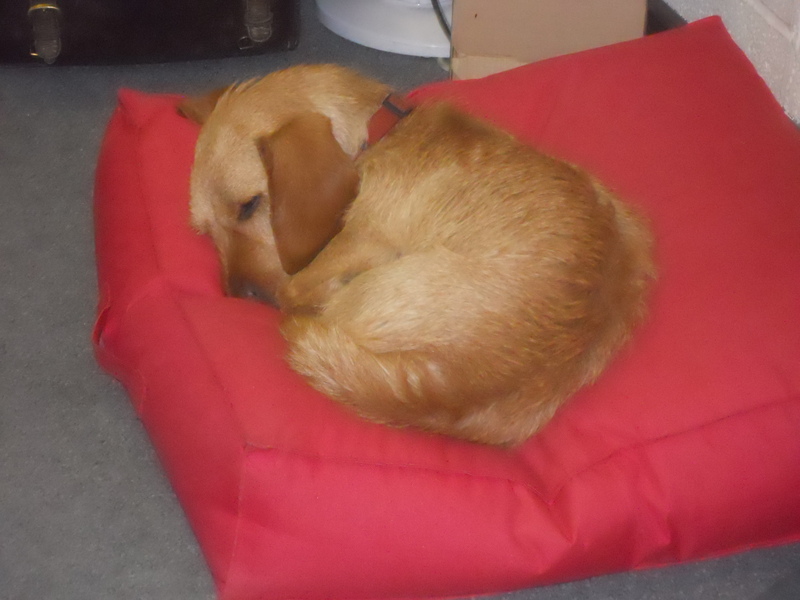 I did eventually relented and gave Walt a tour of the office, well I didn’t want him getting into trouble from going somewhere a puppy shouldn’t, and I think it tired him out cause he fell asleep as soon as his head hit his blanket . 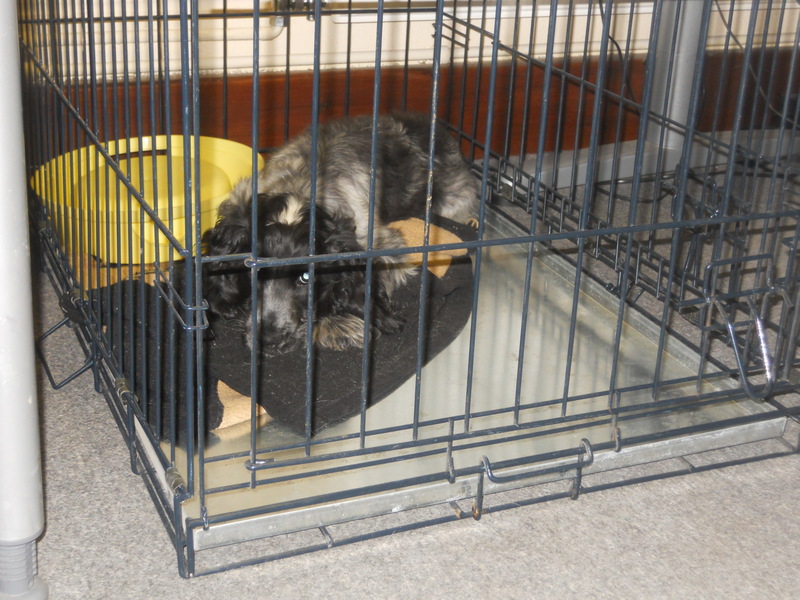 He was all tired after his adventures – bless him! Actually now I am watching him sleep,*Yawn* I think I might follow his example, until next time.